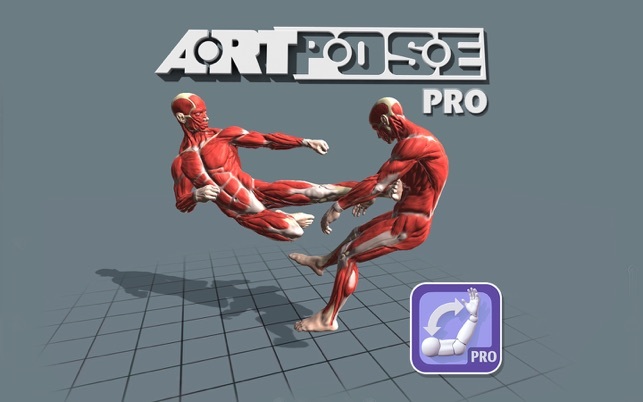 ArtPose Pro is a fun and artistic app for posing the Male and female figure. 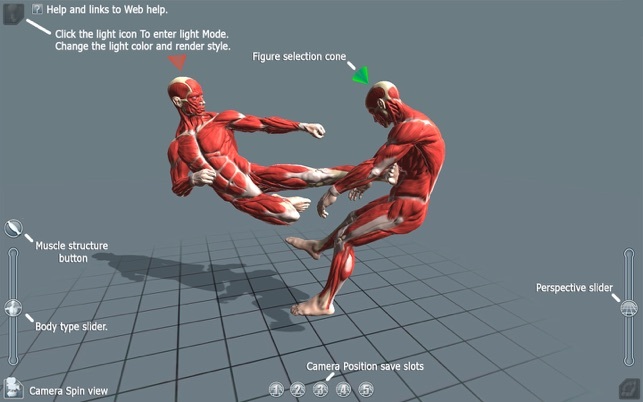 Create fast and dynamic poses in minutes. 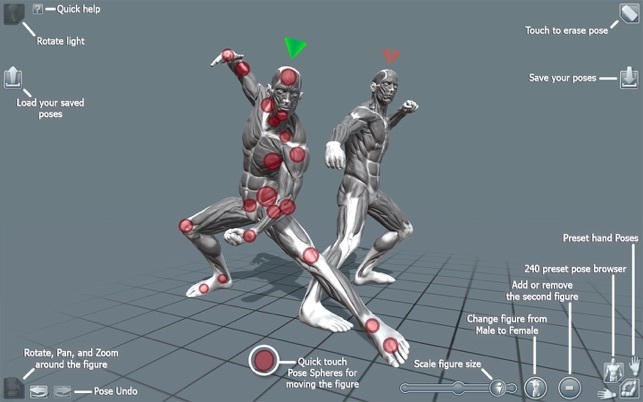 Quickly flesh out an ideal pose to use in your favorite art apps. 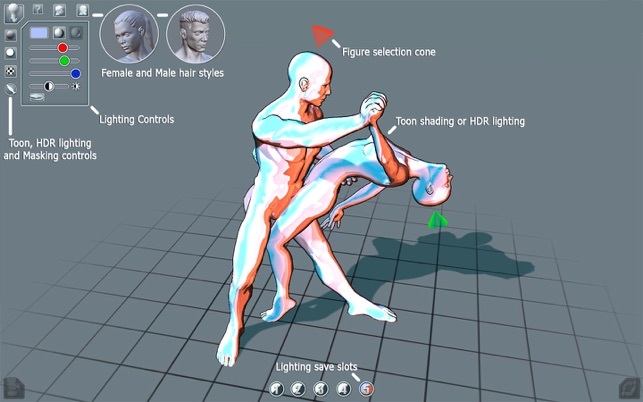 ArtPose Pro lets you Pose two figures together male or female at the same time. Change the size shape of the figures and the lighting to get just the look you want. 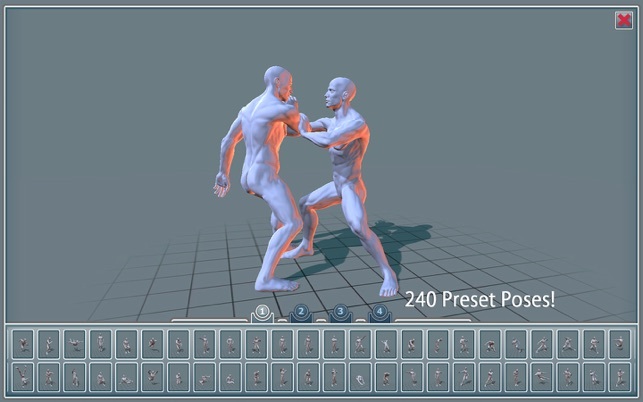 240 preset starter poses make getting started a snap. ArtPose is about keeping you in the moment of creation. This app is exactly what I need - if I could update to the version I have seen on steam. Right now I only see the update button, click it and hve to watch the wheel forever: Nothing happens. I want the update for mirroring and hopefully some other UI improvements. PLEASE DEAR DEVEOLPER Mr. Ogle: Make it work! Answering comments on Facebook or providing any support (email?) would also help.